At age 6 Olga Schlosser was already singing, dancing, and performing on a stage. This was always her passion from childhood. She studied full time for 7 years at a professional music school, and 4 years at a college of music and theater arts in Europe. She has worked as a Soloist with Moscow's National Orchestra and has been involved in Music ministry at many various churches. Olga is teaching and helping others to reach their potential.Her students progress quickly with confidence, style, strength and a voice that is uniquely all their own. 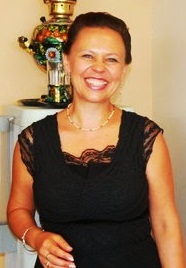 Amanda Daniels serves as Adjunct Instructor of Flute at Crown College. She holds a Bachelor's degree in Flute Performance from the University of Northwestern - St. Paul, as well as a Master of Music degree from the University of Minnesota. While a student, Amanda served as Section Leader of the U of M Wind Ensemble and Symphony Orchestra. She has also performed as a substitute flutist and piccoloist with the La Crosse Symphony and Wayzata Symphony Orchestra. Amanda has won awards in the Schubert Club Competition, the Upper Midwest Flute Association Young Artist Competition, and the University of Northwestern Concerto Competition among others. Her summer festival experiences include the Credo Orchestra and Aria Academy. 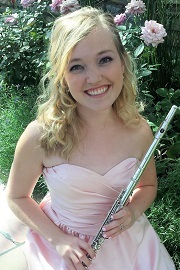 She is grateful for the opportunity to study with many internationally-recognized flutists, including Bonita Boyd (Eastman School of Music), Keith Underwood (Mannes School of Music) Julia Bogorad-Kogan (Saint Paul Chamber Orchestra), Immanuel Davis (University of Minnesota), and Michele Frisch (Minnesota Opera Orchestra). Bethany Gonella is a flutist, piccoloist, and baroque flutist based in Saint Paul. She performs as an extra/substitute musician with the Minnesota Opera Orchestra and Minnesota Orchestra and plays regularly in the South Dakota Symphony Orchestra, the La Crosse Symphony Orchestra, and the Winona Symphony Orchestra. She also plays with the Chione Quintet, an active and innovative woodwind quintet based in the Twin Cities. She is a doctoral candidate at the University of Minnesota and holds degrees in flute performance from Northwestern University and the University of Southern California. Bethany maintains an active flute teaching studio along with her performance work and enjoys working with students of all levels and ages. She teaches both privately and as adjunct flute professor at the University of St. Thomas. She previously taught for five years at Winona State University. Her teaching style is strongly influenced by the Suzuki philosophy, and she creates a positive, encouraging atmosphere for students to develop as musicians. In her free time, she enjoys reading, running, biking, and gardening. You can learn more at www.BethanyGonella.com. Peter has been teaching privately since 1993, and has a Bachelors of Science from Kaplan University. Prior to moving to Minnesota from Wisconsin in 2003 he has participated in Drum and Bugle Corps for 11 years. Peter is a drummer for Riverside Entertainment where he plays and subs in a variety of bands, specifically the Riverside Hitmen. He has been the head percussion instructor for the Lakeville North High School Marching Band since 2006 and has played snare drum with Macalester College Pipe Band since 2007. Peter specializes in rudimental drumming as well as all styles on drum set. 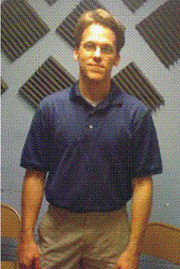 Joe teaches Drum set, snare drum, and mallets and welcomes all levels and all ages. Joe has a Bachelor of Science Degree from Illinois State University, where he played snare drum in the marching band and all other percussion instruments in concert band, and was a certified graduate of Music Tech in 1995 focusing on drum set. 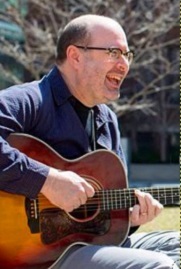 Joe has been teaching privately since 1996 and has played with many bands in a variety of musical styles. 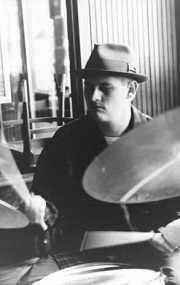 Greg Lewis has been a full-time professional player, clinician, and private teacher since 1971. Past affiliations include the Minnesota Orchestra, Chanhassen Dinner Teatres, Guthrie Theater, Children's Theare Company and The Cedar Avenue Big Band. He has shared the stage with many of the biggest names in jazz and popular music, including Doc Severinsen, Tony Bennett and The Jimmy Dorsey Big Band. Greg teaches all brass instruments and all musical styles to students at any level of development, tailoring lessons and materials to each student's individual needs. To quote Greg: "Empowering students in their development is on of my greatest joys in life." 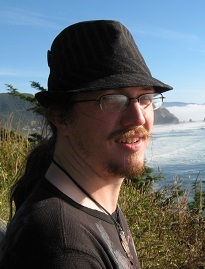 Joe has a Master of Arts degree in music composition and has been teaching for over 10 years. Joe is a member of the American Composers Forum and a member of ASCAP. 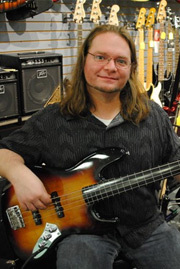 Joe will teach students of all ages in electric and upright bass, as well as music theory and composition. He also teaches guitar to children. Steve Clarke is an award winning musician and bandleader, accomplished on tenor, soprano, alto, baritone sax, flute, alto flute and bass flute. He is the winner of 11 Minnesota Music Awards (MMA) including 6 Minnesota Music Awards for “Horn Player of the Year.” He has appeared on over 75 recordings, commercials and jingles. 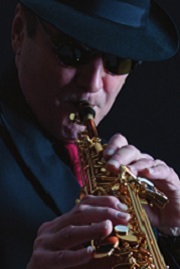 He was formerly a member of Lamont Cranston and the Strawdogs; he is a founding member and principal soloist of Louis&Clarke (21st century jazz) and Other Country Ensemble (world music) His band The Working Stiffs is an award winning, highly energetic and rhythmic Jump / Swing / Jazz ensemble. Steve was inducted into the Mid-America Music Hall of Fame in October 2010. Steve is endorsed by Antigua Winds. Nate has a Bachelor of Arts degree in piano performance and composition from Northwestern College, and has been working towards his Masters degree at the University of Minnesota. Nate started teaching piano in the twin cities in 1997, and over the past 4 years has been teaching pre-K thru 12 music in Brazil. Nate is also a well versed composer and vocalist and has won several awards from his compositions over the past 10 years. Nate is very skilled and personable, and will work with all levels of ages and experience in piano study. 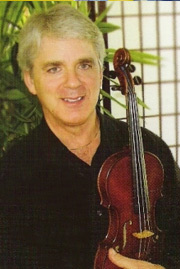 Jim is an accomplished jazz and classical violinist. He studied violin under Richard Adams, assistant concertmaster of the MN Orchestra. Jim is a multi-instrumentalist, and a winner of the West Bank School of Music “Jazz Composer Series” competition. He performs with and directs 2 ensembles: Etage, a jazz combo and the Larkspur String Quartet. Jim studied fiddle under Vassar Clements and Kevin Burke, and jazz performance with Eddie Berger. He has performed at the Guthrie Theatre, The Children’s Theatre Company, the Ordway Theatre and the Old Log Theatre, toured with Olivia Newton-John and was a member of RCA recording group The Daisy Dillman Band. Currently, Jim teaches violin, fiddle, harmonica, mandolin & ukulele. He is CEO of Violinagram.com, a romantic musical telegram service based in Minneapolis. Jim has released four albums: “The Gypsy Fiddle Player/Amorica” (1980) "First Ray of Sunlight" (1997) "In the Moment" (2005) and “French Musettes & Love Songs” (2012). Winner, Intermedia Arts Sound Images showcase competition (Amazonian Dreamscapes) 1990. Minnesota Music Academy Award recipient 1988. Aaron began teaching private guitar lessons from home in 2003 and has since held positions at various music stores throughout the metro, including his own store - Rootnote Music (now closed). He teaches a vast array of guitar styles from Classical to Jazz/Prog, Folk to Heavy Metal, Afro-Latin to many other eclectic styles, as well as Theory Composition on any instrument (through Master level), Music Production in Ableton Live, Intermediate Level Piano instruction (with advanced theory and composition), and welcomes students of all ages and skill levels. Laurie Knutson is an established teacher, performer, vocalist, and board-certified Music Therapist with a Bachelor’s Degree in Music Therapy from the University of Minnesota, and a Bachelor’s Degree in Psychology from Sioux Falls College. She currently teaches saxophone, clarinet, voice, and piano with students ranging in age from 5 to 94. Laurie performs on baritone, alto, and soprano saxophones, clarinet, alto clarinet, flute, Native American flutes, and piano. She performs regularly with her band One Hit Wonders, the Other Country Ensemble, the vocal group After Five, and Steve Clarke and the Working Stiffs. 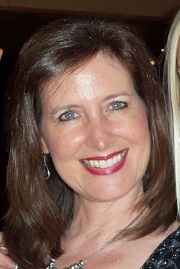 Laurie has been employed at the Minneapolis Veterans Affairs Medical Center as a Music Therapist since 2007. She is a member of both the American Music Therapy Association and the Music Therapy Association of Minnesota, and has worked with children and adults in a multitude of settings clinically as well as in the community. Tim Lyles came of age in the 1970s Memphis music scene and studied at Berklee College of Music in Boston, the University of Memphis, and McNally Smith College of Music in St. Paul, where he also taught for 14 years. He has taught privately for over 35 years and is well-versed in many styles of guitar and bass: from roots music and rock to jazz and classical. His career has encompassed producing, arranging, engineering, and performing in recording studio environments, work in television and film production, and a decade of touring the U.S. with a 14-piece horn band, as well as a variety of live performances. 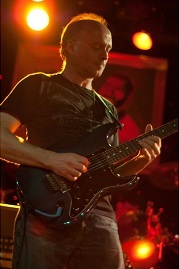 Tim holds a bachelor’s degree in Music and Media and a master’s degree in Guitar Performance. Tim’s teaching philosophy balances fun with tangible progress on the instrument and his goal is to simply help you become a better guitarist or bassist in an enjoyable and enriching setting: to patiently help you understand and acquire the necessary skills. 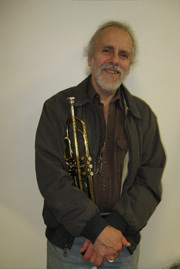 Bruce Heine has been an active musician in the Twin Cities area and beyond for 35 years. 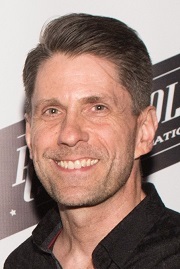 Bruce graduated from the University of Minnesota with a Bachelor of Science degree in Music Education, and has been teaching privately for over 30 years. Bruce also taught as an adjunct faculty member at Saint Cloud State University for 16 years. Bruce currently performs with several ensembles including Tim Patrick and the Blue Eyes Band and the Cedar Avenue Big Band.